Technician was good arrived on time. It was difficult to try to schedule the installation. Had to call three times and was told one time (at 2 in the afternoon) that the scheduler was gone for the day. On the day of installation the crew was good but they said I should have been told to replace two panels instead of just the top one. They were clean and efficient. Great service. Very professional. Could not be happier with the response time and the end result. Technician Tony P was terrific. Tony P. responded in a timely manner, and went about fixing the problem with my garage door. He was courteous, and accomplished the repair in less that 1 hour. I would give Tony a 5 out of 5 stars. Tony repaired the tracks on the door that got out of adjustment and checked to make sure the door performed adequately. Excellent service. The service technician was here when he said he would be. He had the door fixed in a short time. Great service! Response time was minimal and repairs were done quickly. Technicians were friendly and courteous. I will certainly be calling you for any needs I may have in the future and will gladly recommend you to others. Thanks again! Tony and Mark went inside the garage and saw the broken spring. They said that although the garage should be cleared (there was a lot of stuff inside), they would "make it work." About an hour later they were done, and I was able to open my garage door again. I was very impressed with their work and their professionalism. 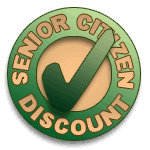 I will definitely use Precision Door Service again and will recommend them to others. Excellent service. Phone rep was pleasant. The technical, Jaysen arrived within the schedule time and was friendly, cooperative and very knowledgable. My garage door was repaired within a few hours of discovering it was inoperable. I highly recommend Precision. The Technician, Jaysen, was outstanding. 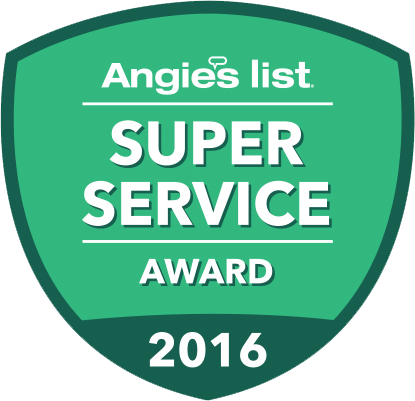 He was very professional, friendly and courteous and did an excellent job in fixing our garage door problem. I would recooend him to anyone and was very pleased that I had called Precision to take care of our problem on a Sunday. Great Job, recommend with 5 rock stars. 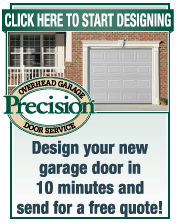 I contacted Precision because I found their website while looking for a garage door repair facility. I was able to get an appointment within 2 hours without an emergency fee. Brian showed up on time and was very professional. He identified the problem (spring) and recommended other maintenance to extend the warranty. He was complete within 30 minutes. I would highly recommend contacting Precision Door Service! Thank you! Jesus was our technician. He was very knowledgeable, professional and friendly. He was able to fix our issue and teach me how to better maintain my garage door. We will be call you back as we need to replace our springs very shortly. Thanks again for your prompt response and working with our schedule. Brian serviced me today with three car remote programs to the opener. He has the power. Then he and I discussed an opener motor to replace the Genie I have. Ready for install on the 5th. Give Brian a larger commission. Having a local office was a motivating factor. Also, other companies that were called, promised call backs but failed to do so! Your service was honest, indicating that no one would be avaiable Sat. evening untill after mid-night. I told them I would call back in the morning. When I did, I was told that somone would be out between 12-2 P.M. Tony arrived at approimately 12:30-1:00. He was efficient, knowledgeble and very professional. He is an asset to your company. I will always call you guys first from now on! I am very pleased with every aspect of the work. The whole experience was a breeze. Highly recommendable. Very quick response. I will be a repeat customer for sure!